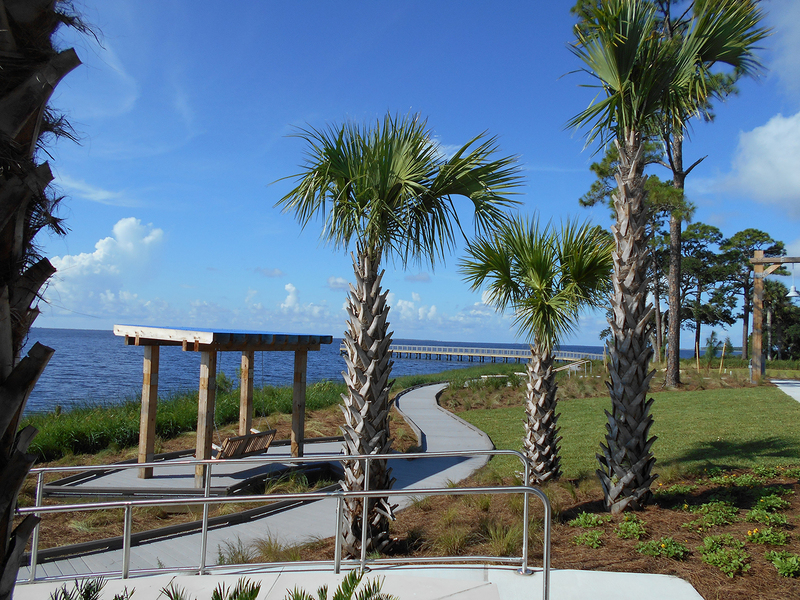 This seven-acre park on St. George Sound on the Florida Panhandle is a great new destination to launch kayaks, fish off a pier, or stroll along a new boardwalk to watch for shorebirds and take in the waterfront views. The ribbon cutting marked a turning point in the region’s recovery from 2010’s devastating Deepwater Horizon oil spill. This is the first of five new parks intended to compensate communities for the spill’s economic and environmental effects. The Trust for Public Land acquired the land; directed the design, permitting, and construction of the parks; and will donate the completed Florida Coastal Access Program parks to local governments. The Florida Department of Environmental Protection will fund operation and maintenance of each park for ten years. Oil from the Deepwater Horizon explosion extended 68,000 square miles—but the spill’s effects reached far beyond that. Oil washed up on beaches and marshes along 1,100 miles of the Gulf Coast. A million seabirds and thousands of marine mammals and sea turtles died after exposure, and the fishing and tourism industries reeled. The Deepwater Horizon cleanup officially ended in April 2014, but the recovery is ongoing. The Trust for Public Land also helped build the Deepwater Horizon Project Tracker, a centralized directory of projects funded by settlements from the spill. In October 2018, the eye of Hurricane Michael—one of the strongest storms to ever make landfall in the United States—came ashore just 45 miles from Carabelle. Island View Park suffered severe damage and remains closed. We are working with local officials to determine a timeline to repair and reopen the park.